Did you know we are 2 1/2 weeks away from the end of the year? To help you get ready to have a fun, playful start to the new year, here are New Years Crafts for kids and New Years Kids Activities. New Years Eve is just a couple weeks away! 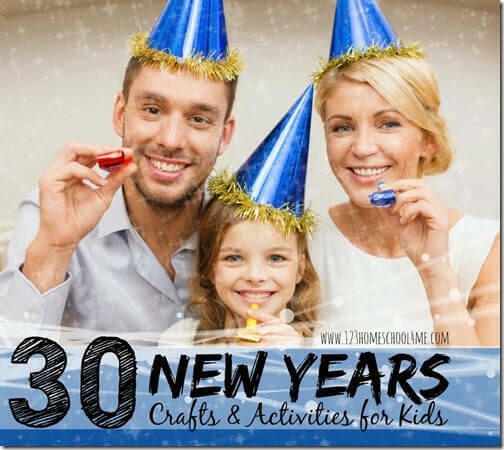 Get ready for a fun, memorable New Years Eve celebration with your family with these 30 New Years Activities for Kids! You’ll find lots of really fun, creative ideas your kids are sure to LOVE!